Synopsis: A gritty story of a take-no-prisoners war between dirty cops and an outlaw biker gang. A drug kingpin is driven to desperate measures. It’s a sad reflection on today’s society that a screen adaptation of a William Shakespeare play feels it necessary to sell itself as a cross between a TV drama about motorbike gangs and a bloodthirsty fantasy epic. 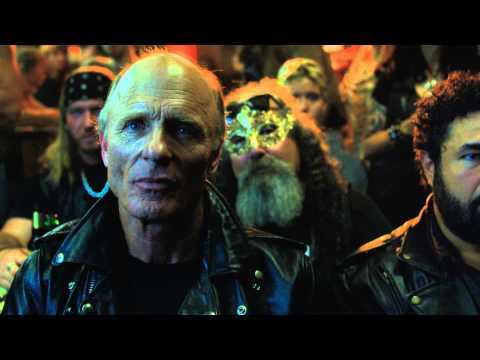 Cymbeline, the play on which Anarchy Ride or Die is based (and which is the movie’s original US release title) was one of the bard’s bloodiest, which explains the decision of writer and director Michael Almereyda to situate the story largely amongst the closed ranks of a motorbike gang, as gang culture of some description is the only viable modern setting in which violence seems credible. Shakespeare’s plays aren’t exactly noted for their realism, and Almereyda trades on this to justify his decision to retain the play’s original prose while placing it in a modern setting. 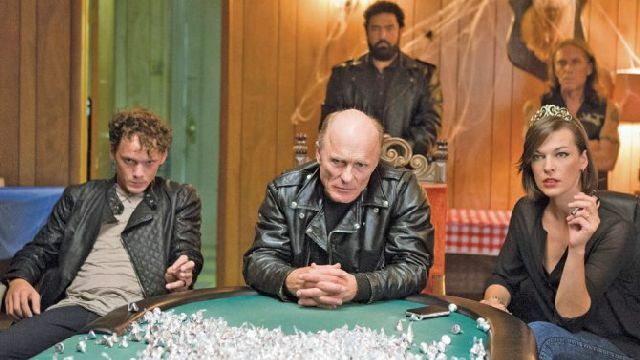 The world in which Cymbeline takes place is one that’s strangely detached from reality, not only because of the implausible plot and ancient language, but in the way that it’s populated only by those with a part to play. The use of what now sounds like stylised dialogue will undoubtedly deter the majority of younger viewers, which perhaps explains why the trailer focuses on the film’s more violent moments, but its rhythm and cadence sounds more natural as the story unfolds. And even if the peculiarities of Shakespeare’s dialogue seems impenetrable to the average audience, the plot is relatively easy to follow. In fact, there are a lot of similarities between the plot of Cymbeline and that of its more famous cousin, Romeo and Juliet, including star-crossed lovers who at one point mistakenly believe their lover to be dead.